The much awaited Annual Sports Meet ‘Altius’ was held on Friday 19th January 2018, with great excitement and frolicsome atmosphere amidst thrills, shrills and cheers It was a mega two day event. 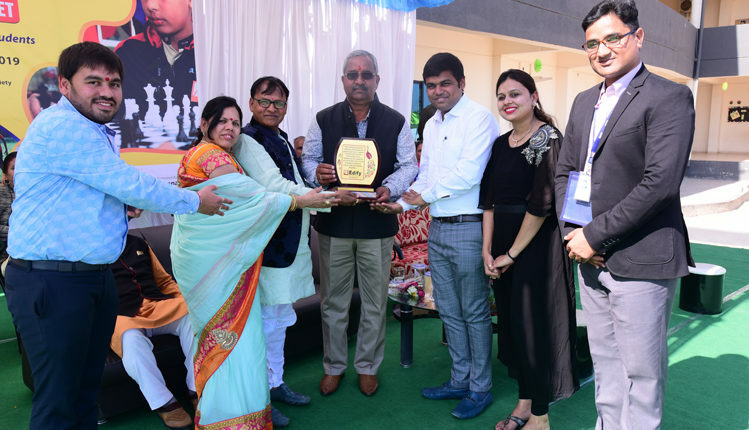 The chief guest, for the opening ceremony was Dr. R.K. Sohni, Principal Govt.PG College, Mandsaur and the Chief Guest for the closing ceremony was Mr.B.S Chouhan IGP, CTC, and CRPF Neemuch.The impressive March Past and the salute of the students, was a feast to eyes. Various track field events, and other games were played in both senior and junior categories. The young achievers were awarded with the medals. Games for parents were also organised. Parents entered into the spirit of the occasion in a grand way. Once the races began, the air was filled with cheering and tons of encouragement for the parents and athletes. In his concluding speech, the Chief Guest praised the endeavours of the school. Principal, Dr.Chundawat, thanked parents for their support and encouragement that lent charm to the event.